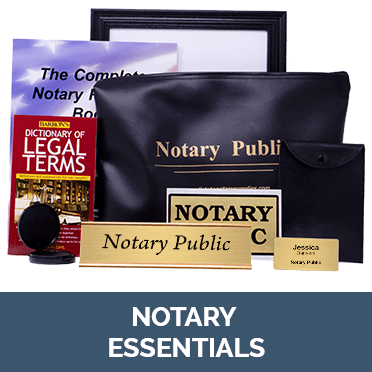 Find all the official notary supplies you need at All State Notary. 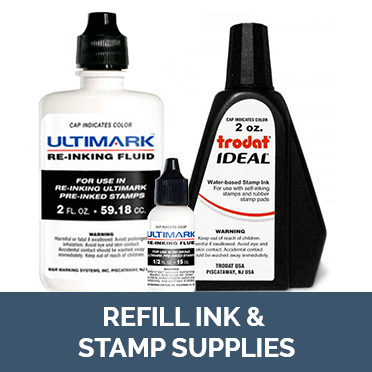 Shop quality self-inking stamps, stock certificates, supply bags, refill ink and notary pubic signs and desk name plates. 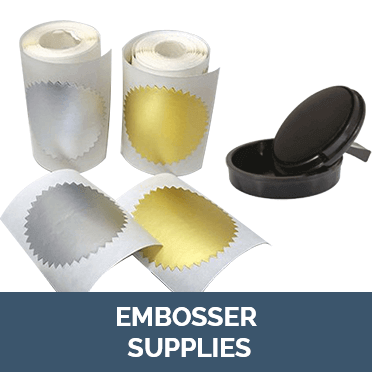 Choose from gold or silver foil seals for your custom embosser. Create small or medium custom line stamps for all your notarial tasks. 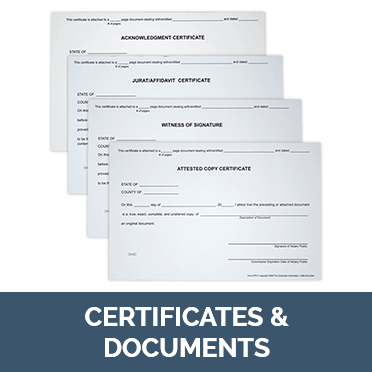 You can customize your notary seal and get an Acknowledgment Notary Certificate all in one purchase. All State Notary brings you a full line of professional notary public accessories and supplies and your order ships out next business day. You can also place orders by phone at 800-523-2344 or fax 978-745-3311.